Sure, trends come and go, and it’s important to stick with the classics when appropriate, but the truth is that trendspotting is fun, plain and simple—plus, it’s essential if you want to stay ahead of the fashion curve and discover new looks you’ll love. Maybe you’re more of a white sneakers type, or perhaps you vibe more toward the print trends of the season. Whatever the case, we’ve come up with five easy ways to pick up on the latest fashion trends. Keep scrolling to master the art and science of trendspotting! We love to analyse trends here at WhoWhatWear, specifically zeroing in on the ones that easily translate to everyday wear. You can start curating your own favourite trends by first doing your research. Read fashion publications (like ours!) with an authoritative voice, and ones that cover trends year-round, so you can be in the loop at all times. Of course you should be following specific fashion insiders on Instagram and Twitter, but it’s especially important to pay close attention to them during fashion month. Use the the fast-paced nature of fashion to your advantage and log on to Style.com or Vogue.com for up-to-the-minute images and trend reports on the most influential shows of the season. We also do our fair share of fashion week updates, so treat it as your second job. 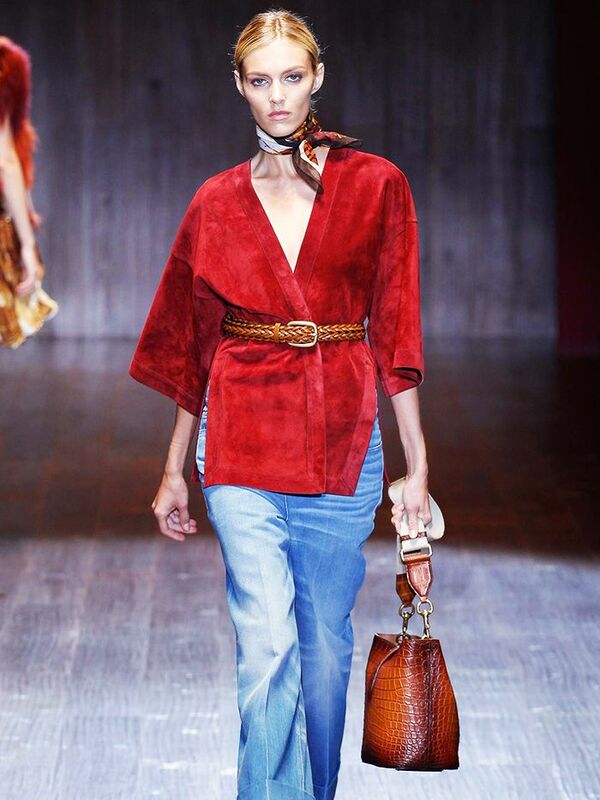 Pay close attention to details: Is there any consistency in a particular type of denim on the runway and streets? Maybe there is a colour that stands out to you over and over. Jot these ideas down as you continue your research. You’re one step closer to practicing trendspotting like a pro. No matter where you find yourself, always pay close attention to your surroundings. For those with the advantage of living in a place like Los Angeles or New York, every day is a constant trend update. Keep a small notebook to write down any looks that stood out. And if you find yourself in a different region, keep the same practice. Observe and take notes, then once you have a moment, compare your observations with your trend notes from bloggers, street style looks, and runway images.